Please visit www.255GreySquirrel.com to see a professional video tour showcasing why we believe this home truly represents Colorado living at its finest. 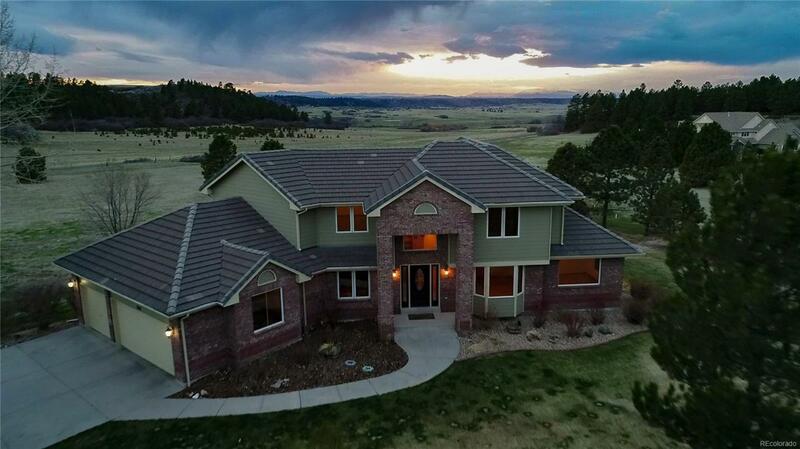 Set on 5 beautiful acres and situated between rolling hills, this property stuns with panoramic views of the Rocky Mountains from every floor. From its amazing location, placing you only a short drive away from everything, to its timeless architectural elements that effortlessly compliment the surroundings, this is an opportunity that not only represents premium quality, it embodies legitimate value. Standout features include new high-end Jeld-Wen windows complete with Hunter Douglas blinds, new Benjamin Moore paint, new carpet, a remodeled kitchen with slab granite counter tops, butler pantry, gourmet espresso machine, wine cooler, tons of storage, updated bathrooms, light fixtures, and hardware, an organic garden, professional landscaping, and countless other touches that make this special property one that you simply cannot miss! Offered by Kinzie & Company, Inc..